the full range of diversity. In many cases, Stage 3 offers a precise identification, as in the ease of the Emu or the Kakapo below. 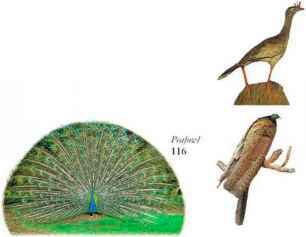 In other cases, Stage 3 refers you to a group of species, such as Pheasants at the bottom of this page. This means that your bird is one of the pheasants illustrated in the book (on pages 113-115 or on 117) or a similar pheasant that is not included in the book. 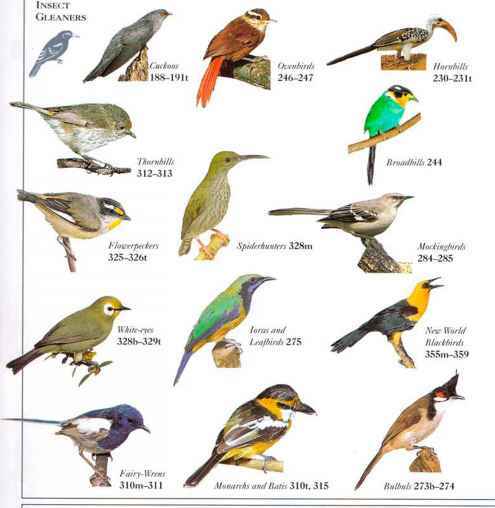 In a group reference of this kind, the name of the type of bird is given in the plural.